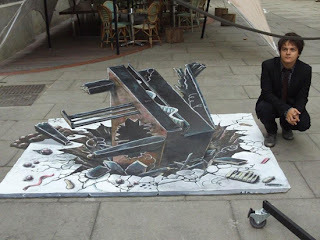 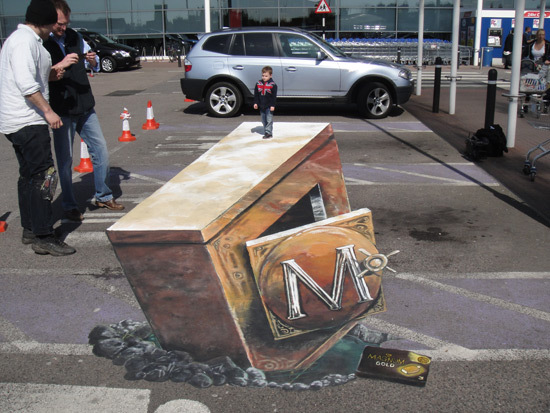 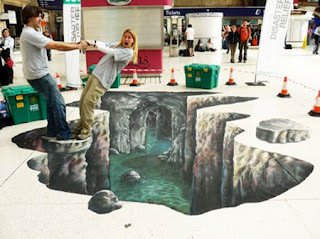 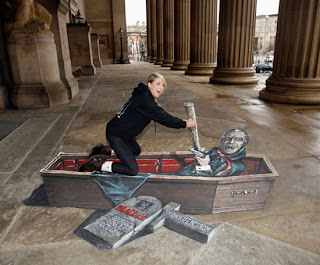 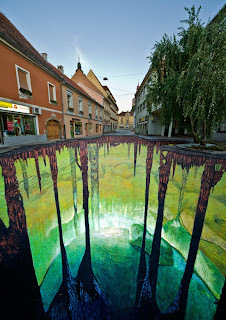 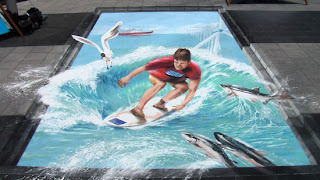 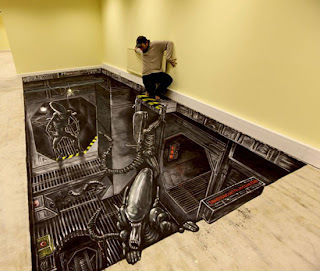 3d Street Art paintings have been around since the sixteenth century when Italian Renaissance Madonnari and French trompe l’oeil (French for ‘deceive the eye’) painters created stunning murals to decorate the interior walls of luxurious villas. 3d art can also trace it’s routes further back to ancient Greek days when painter Zeuxius (born around 464BC) painted a still life painting so convincing that birds flew down from the sky to peck at the painted grapes. 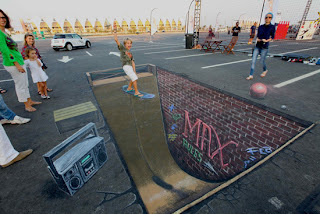 The magic of 3d is created by painting a 2d picture and viewing it from a specific angle to capture the right perspective.